The winners of the 2013 Globe Honors and The Road to the Jimmy™ Awards, the annual competition recognizing excellence in high school theater throughout San Diego County, were announced on Monday, May 20 after the final round of competition was held on the Donald and Darlene Shiley Stage in the Old Globe Theatre, part of the Globe’s Conrad Prebys Theatre Center. 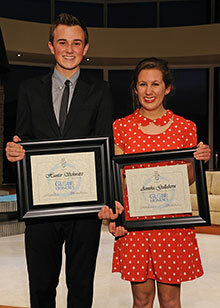 Hunter Schwarz of Canyon Crest Academy and Annika Gullahorn of Pacific Ridge School won in the categories of Leading Actor and Actress in a High School Musical, respectively, and will receive an all-expenses-paid trip to New York City to participate in the National High School Musical Theater Awards/The Jimmy™ Awards competition to be held on July 1 at the Minskoff Theatre on Broadway. The other winners of this year’s Globe Honors were Samuel Brogadir of San Diego School of Creative and Performing Arts and Alexis Young of Escondido Charter High School (Outstanding Achievement in Musical Theatre), Mitchell Connelly and Samantha Littleford, both of Coronado School of the Arts (Outstanding Achievement in Spoken Theatre) and Alexandra Adams of San Diego School of Creative and Performing Arts (Outstanding Achievement in Technical Theatre). 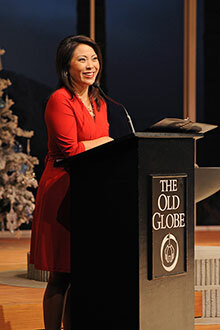 Local CBS News 8 anchor Marcella Lee emceed the final round of competition and announced the winners of Globe Honors, which was presented in association with Broadway/San Diego – A Nederlander Presentation. Globe Honors and The Road to the Jimmy™ Awards invited high school theater students to compete with songs, monologues and portfolios in front of a live audience and a panel of judges. 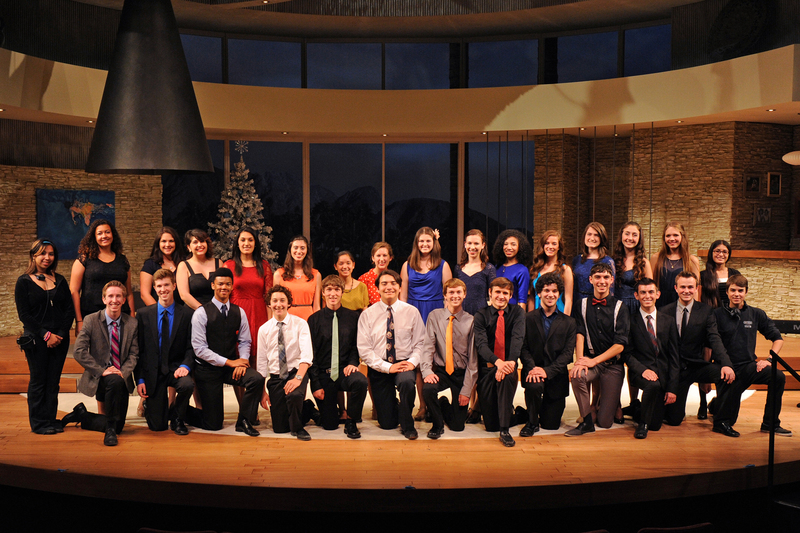 Winners of all Globe Honors categories received $1,000 scholarships, and the winners of the Musical, Spoken and Technical Theater categories will participate in a two-day trip to Los Angeles where they will go behind the scenes at Center Theatre Group, attend a casting workshop and take in a show. The National High School Musical Theatre Awards is an annual celebration of outstanding student achievement in high school musical theater. The 2013 program will commence in New York City on June 26, with rehearsals, master classes, private coaching and interviews with theater professionals leading up to the live awards show where the Jimmy™ Awards (named for legendary Broadway producer and theater owner James M. Nederlander) for Best Performance by an Actor and Best Performance by an Actress will be presented on July 1. 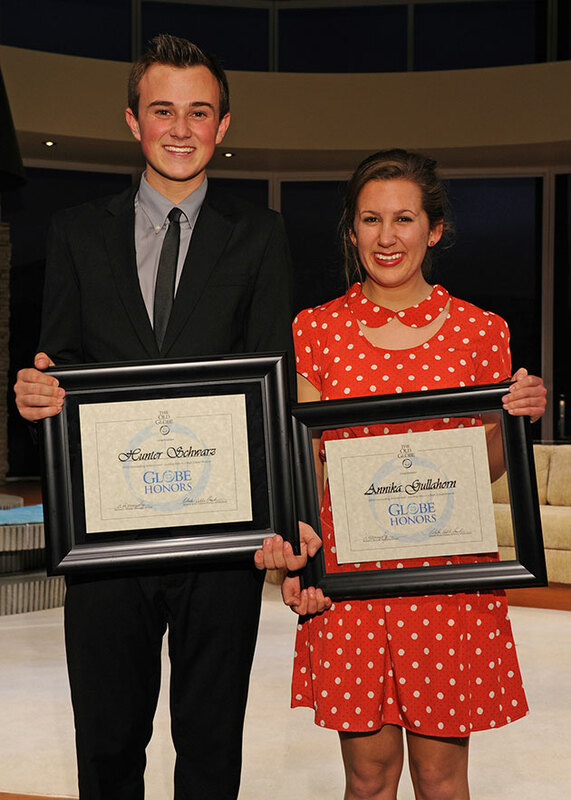 2012 winners Nicolette Burton and Chase Fischer traveled to the NHSMTA/The Jimmy™ Awards and appeared on the PBS documentary about the experience, Broadway or Bust, and Burton was one of three leading actresses in the final round of competition. 2010 Globe Honors winner Katie Sapper also competed as a top three finalist in New York. Hunter Schwarz, who won in the category of Outstanding Achievement, Leading Actor in a High School Musical, will compete at The Jimmy Awards in New York City. 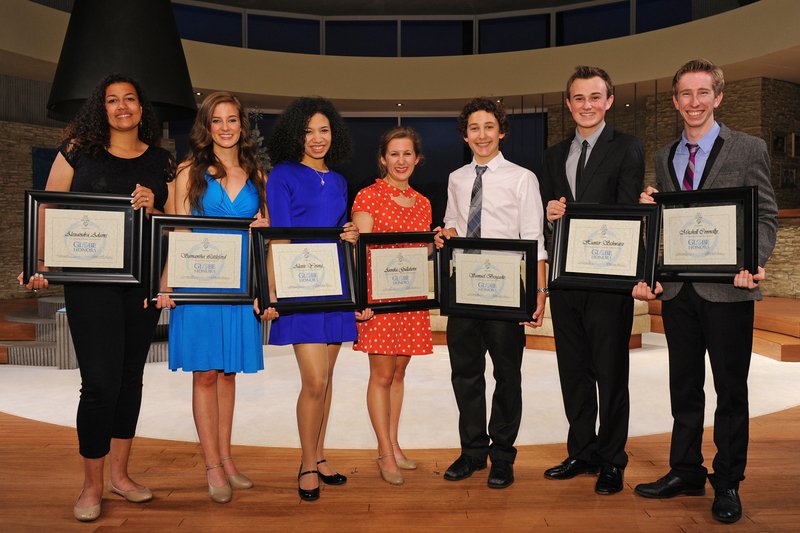 The 2013 Globe Honors and The Road to the Jimmy Awards was held on May 20 at The Old Globe. Photo by Doug Gates. 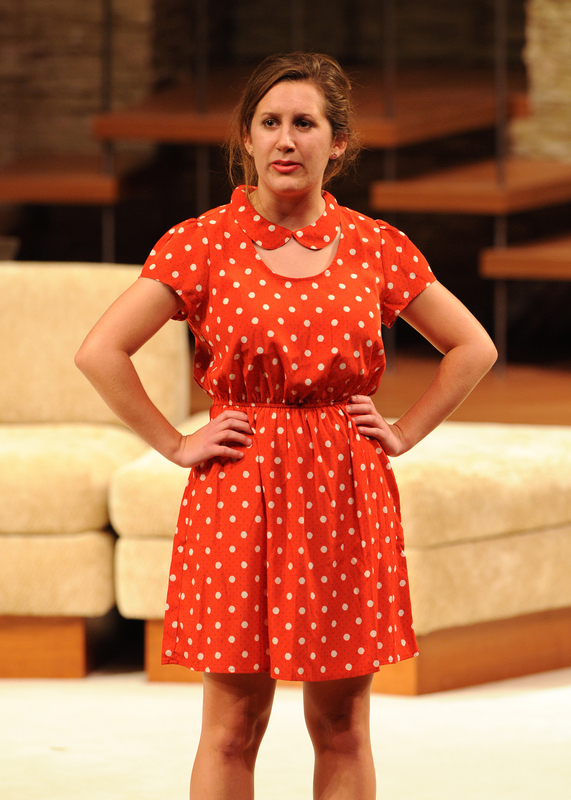 Annika Gullahorn, who won in the category of Outstanding Achievement, Leading Actress in a High School Musical, will compete at The Jimmy Awards in New York City. The 2013 Globe Honors and The Road to the Jimmy Awards was held on May 20 at The Old Globe. Photo by Doug Gates. The winners of the 2013 Globe Honors: (from left) Alexandra Adams (Technical Theatre), Samantha Littleford (Spoken Theatre), Alexis Young (Musical Theatre), Annika Gullahorn (Leading Actress in a High School Musical), Samuel Brogadir (Musical Theatre), Hunter Schwarz (Leading Actor in a High School Musical) and Mitchell Connelly (Spoken Theatre). The 2013 Globe Honors and The Road to the Jimmy Awards was held on May 20 at The Old Globe. Photo by Doug Gates. Hunter Schwarz and Annika Gullahorn, who won in the categories of Outstanding Achievement, Leading Actor and Actress in a High School Musical, will compete at The Jimmy Awards in New York City. The 2013 Globe Honors and The Road to the Jimmy Awards was held on May 20 at The Old Globe. Photo by Doug Gates. The semi-finalists, finalists and winners of the 2013 Globe Honors. The 2013 Globe Honors and The Road to the Jimmy Awards was held on May 20 at The Old Globe. Photo by Doug Gates. Local CBS News 8 anchor and Globe Honors emcee Marcella Lee (center) with the winners of the 2013 Globe Honors: (from left) Alexandra Adams (Technical Theatre), Samantha Littleford (Spoken Theatre), Alexis Young (Musical Theatre), Annika Gullahorn (Leading Actress in a High School Musical), Samuel Brogadir (Musical Theatre), Hunter Schwarz (Leading Actor in a High School Musical) and Mitchell Connelly (Spoken Theatre). 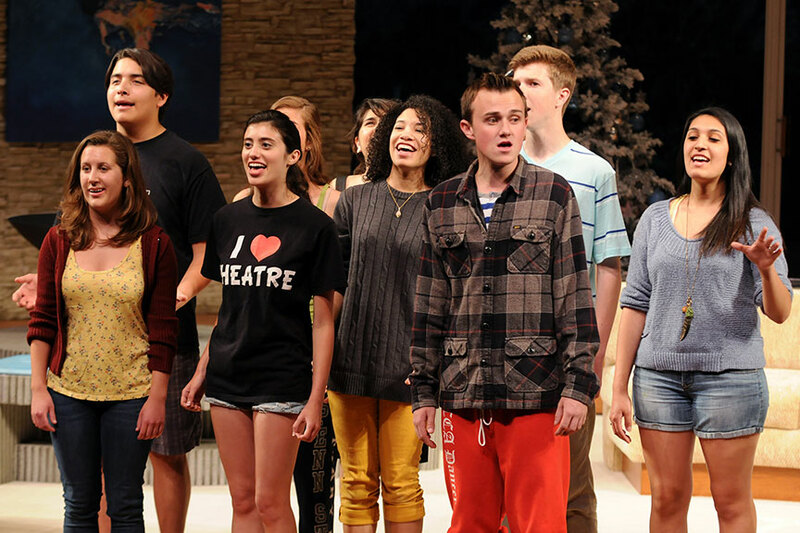 The 2013 Globe Honors and The Road to the Jimmy Awards was held on May 20 at The Old Globe. Photo by Doug Gates. Local CBS News 8 anchor Marcella Lee emceed the 2013 Globe Honors and The Road to the Jimmy Awards on May 20 at The Old Globe. Photo by Doug Gates. 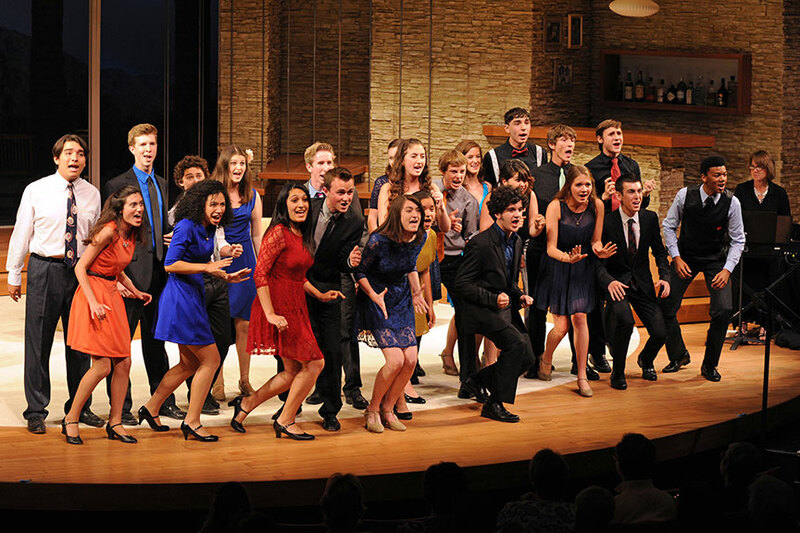 The semi-finalists, finalists and winners of the 2013 Globe Honors perform a group number at the 2013 Globe Honors and The Road to the Jimmy Awards, held on May 20 at The Old Globe. Photo by Doug Gates. Student competitors rehearse a group number for the Globe Honors performance. 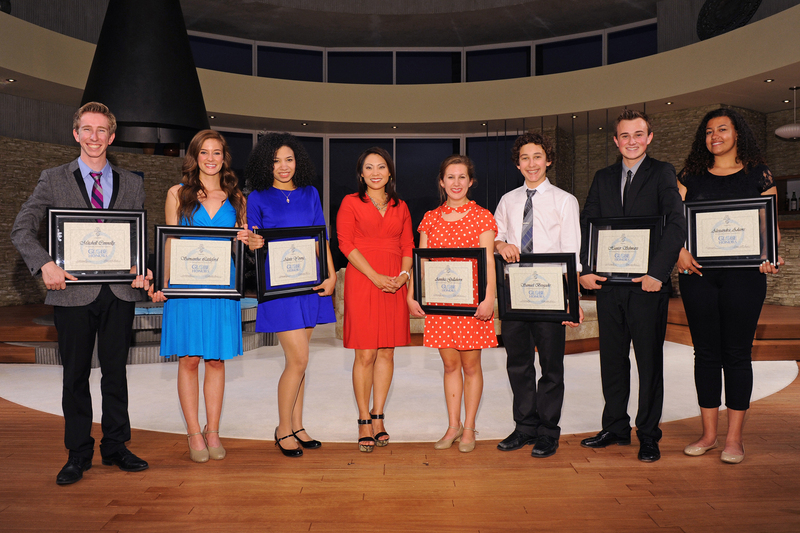 The 2013 Globe Honors and The Road to the Jimmy Awards was held on May 20 at The Old Globe. Photo by Doug Gates. CBS News 8 anchor Marcella Lee. 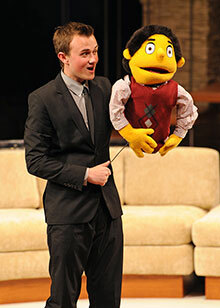 Lee will host the 2013 Globe Honors and The Road to the Jimmy™ Awards on May 20 at 8:00 p.m. at The Old Globe. Photo courtesy of KFMB-TV.